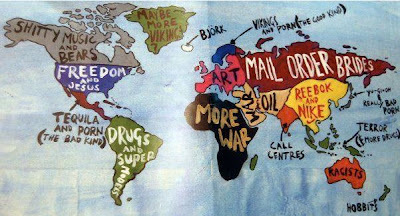 Pam Anns brilliant world map. But she left Madagascar blank. Just write "Weird Animals."